David Carson Berry, Associate Professor, is a music theorist whose research interests are wide-ranging. They include American popular music of the 1920s-60s, including a focus on Irving Berlin and Jimmy Van Heusen; the theory and aesthetics of music of the mid-eighteenth through mid-twentieth centuries, including a focus on Igor Stravinsky; and Schenkerian theory and its reception history in the U.S. At CCM, Dr. Berry regularly teaches tonal theory, Schenkerian analysis, eighteenth-century counterpoint, and a seminar on semiotic and narrative approaches to musical interpretation. Other, more occasional seminar topics have included a study of ambiguity in music, Stravinsky’s serial music, and various Schenkerian topics (e.g., pedagogy, Formenlehre, and conceptualizing prolongation). 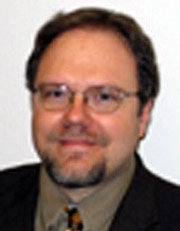 As a scholar, Dr. Berry has delivered around 30 different papers at various academic venues in the U.S. and Europe, and has published nearly 20 articles and reviews in peer-reviewed journals such as Journal of Music Theory, Journal of Musicology, 19th-Century Music, Current Musicology, Intégral, Indiana Theory Review, and Journal of Schenkerian Studies. For one of these articles—“The Meaning(s) of ‘Without’: An Exploration of Liszt’s Bagatelle ohne Tonart”—he was the recipient of the Society for Music Theory’s “Emerging Scholar Award” for 2006. His book, A Topical Guide to Schenkerian Literature: An Annotated Bibliography with Indices (Pendragon, 2004), is the largest reference work devoted to writings about Heinrich Schenker and his approach to analysis. Other book projects are underway, including his editorship of A Music-Theoretical Matrix: Essays in Honor of Allen Forte, which is being serialized as a special feature of Gamut: The Journal of the Music Theory Society of the Mid-Atlantic. Panelist/Presenter on ethics in the arts and humanities, at a session of the Graduate Summer Research Mentoring Experience (G-SUM) of the University of Cincinnati’s Graduate School (2010). Chair, Arthur J. Komar Award for best student paper, Music Theory Midwest (2010). Chair, Graduate Thesis and Research Committee, CCM (2010). Faculty Adviser, Student Conferences of the CCM Music Theory and Musicology Society (three terms, for conferences of April 2010, April 2008, and February 2007). Chair, Task Force for “Semesterization” of M.M. Curriculum, CCM (2009-10). Member, Publication Awards Committee, Society for Music Theory (2007-10). Chair, Program Committee, annual meeting of Music Theory Midwest (2007). David Berry (2009). The Twin Legacies of a Scholar-Teacher: The Publications and Dissertation Advisees of Allen Forte. Gamut, 2 (1), 197. David Berry (2008). The Roles of Invariance and Analogy in the Linear Design of Stravinsky’s ‘Musick to Heare&apos;. Gamut, 1 (1). David Berry (2006). Journal of Music Theory under Allen Forte’s Editorship. Journal of Music Theory, 50 (1), 7. David Berry (2005). Schenkerian Theory in the United States: A Review of Its Establishment and a Survey of Current Research Topics. Zeitschrift der Gesellschaft für Musiktheorie, 2 (2-3), 101. David Berry (2005). Victor Vaughn Lytle and the Early Proselytism of Schenkerian Ideas in the U.S.. Journal of Schenkerian Studies (1), 92. David Berry (2004). The Meaning(s) of ‘Without’: An Exploration of Liszt’s Bagatelle ohne Tonart. 19th-Century Music, 27 (3), 230. David Berry (2003). Hans Weisse and the Dawn of American Schenkerism. Journal of Musicology, 20 (1), 104. David Berry (2002). The Role of Adele T. Katz in the Early Expansion of the New York ‘Schenker School&apos;. Current Musicology (74), 103. David Berry (2002). On Teaching ‘Tonal Mirror Counterpoint’: A Guide to Concepts and Practice. Journal of Music Theory Pedagogy (16), 1. David Berry (2004). A Topical Guide to Schenkerian Literature: An Annotated Bibliography with Indices. Hillsdale, NY: Pendragon Press. David Berry (2006). Hans Weisse (1892-1940). Schenker-Traditionen: Eine Wiener Schule der Musiktheorie und ihre internationale Verbreitung (pp.91). Vienna: Böhlau Verlag. David Berry (In Progress). Theory. The Grove Dictionary of American Music, 2nd ed. David Berry (2006). Stravinsky, Igor. Europe 1789 to 1914: Encyclopedia of the Age of Industry and Empire (pp.2261). David Berry (04-2012). Confronting Meaning in Music Fourth Biennial Student Conference of the Music Theory and Musicology Society, Cincinnati, OH. David Berry (11-2008). Archiving Schenker National conference of the American Musicological Society, Nashville, TN. David Berry (05-2012). Notes of Completion and Contradiction: Strategic Uses of Pentatonicism in American Popular Songs of the 1920s–50s, Ann Arbor, MI. David Berry (05-2014). Schenker and Music Criticism in 1930s America, Jackson, TN. David Berry (10-2011). Schenker&apos;s First &apos;Americanization&apos; in the 1930s (or, Schenker Meets the &apos;Appreciation Racket&apos;), Minneapolis, MN. David Berry (05-2011). The Practice and Pedagogy of Musical Dice Games: A Synthesis of Music History and Theory, Baton Rouge, LA. David Berry (03-2011). Metaphorical Interpretations of Modality in American Popular Songs, ca. 1920–50, Danville, KY.
David Berry (2008). What Kind of ‘Patterning’? Issues of ‘Thematicism’ Reconsidered in Stravinsky’s Abraham and Isaac. David Berry (06-2007). Stravinsky’s Serialism and Musical Evolution: Tinkering, Preadaptation, and Non-Teleological Change, Durham University (UK). David Berry (11-2006). Stravinsky’s Array-Pathway Analogues in Context: The Concept of an ‘Anasystemic Variation Procedure, Los Angeles, CA. David Berry (01-2006). Judging Them by Their Covers: The Artistic and Commercial Connotations of Album-Cover Photographs, Cincinnati, OH. David Berry (04-2004). Verborgene Wiederholungen? Schenker’s (Hidden?) Influence in America before Hans Weisse and the Mannes Vanguard. David Berry (02-2004). The Professional Songwriter in the Mid-Twentieth Century: Jimmy Van Heusen as a Case Study, Chapel Hill, NC. David Berry (11-2003). The Structural Roles of Pentatonicism in Tin Pan Alley Songs, Madison, WI. David Berry (06-2003). Hans Weisse, Vienna, Austria. David Berry (04-2003). The Meaning(s) of ‘Without’: An Investigation of Liszt and His ‘Bagatelle ohne Tonart&apos;, New Haven, CT.
David Berry (11-2002). Adele T. Katz and the Emergence of the New York ‘Schenker School&apos;, Columbus, OH. Distinguished Alumni Speaker, College of Fine Arts, Arkansas State University, 2010. Part of 32nd Annual Convocation of Scholars Week. Fellow, Mannes Institute for Advanced Studies in Music Theory, 2008. "Jazz Meets Pop". Emerging Scholar Award, Society for Music Theory, 2006. Fellow, Mannes Institute for Advanced Studies in Music Theory, 2006. "Chromaticism".